The Charles Biddle Award highlights the exceptional contribution of an individual who immigrated to Quebec and whose personal or professional engagement is contributing to Quebec’s cultural and artistic development on the national or international scene. It recognizes the efforts and contribution of an individual who, through his or her achievements, is a successful role model not only in his or her own field but for Quebec society as a whole. Three finalists will be selected by the jury among all the nominations received. They will be officially announced in October. From this number, one candidate will elected laureate and receive the prize, while the other finalists will receive an official certificate from the MIDI. 2017 Novelty : a special mention can be awarded to acknowledge the exemplary achievements and career of a person from one of Quebec’s region, whose community implication has been outstanding. The award is presented by the Ministère de l’Immigration, de la Diversité et de l’Inclusion (MIDI), in partnership with Culture pour tous, during the Semaine québécoise des rencontres interculturelles. The recipient receives a $3,000 cash prize as well as a bronze and granite sculpture by artist Danielle Thibeault of Trois-Rivières. The sculpture of a group of people in movement on a pillar-shaped base symbolizes the importance of the ties linking the people of Québec. October 23, 2017 – The Minister of Immigration, de la Diversité et de l’Inclusion (MIDI), Mr. David Heurtel, has joined Culture pour tous and La Fabrique culturelle de Télé-Québec in announcing the visual arts artist Bonnie Baxter as the laureate. Discover this unique artist in lafabriqueculturelle.tv new video. The other finalists – Hada Lopez and Alejandra Odgers – received an official certificate from the MIDI. See the very touching video introducing them. 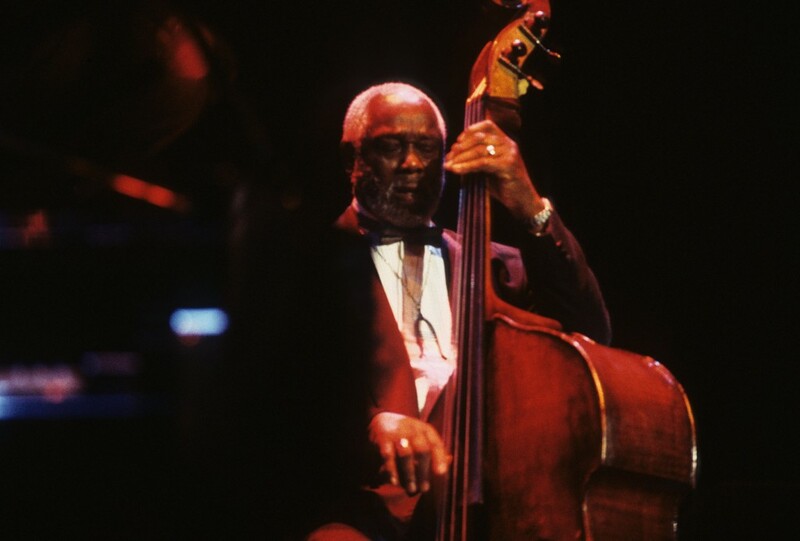 Known as “Monsieur Jazz Montréal,” Charlie Biddle was born in 1926 in Philadelphia, Pennsylvania, where he lived until age 16. Fleeing racial segregation in the United States, the talented musician moved to Montreal in 1948. Shortly after arriving in Quebec, he was offered a position with the Sherbrooke Symphony Orchestra and also played bass with the Montreal Orchestral Society at the same time. His jazz career took off in the early 1950s when he regularly played in Montreal and the regions. In 1957, he met Constance Marchand, who later became his wife and gave him four children. In 1979, he organized a jazz festival considered by many as the precursor of the Montreal International Jazz Festival, which attracts hundreds of thousands of visitors each year. A jazz promoter and mentor, Biddle served as an inspiration to all Quebecers with his dedication to helping young artists from all the different communities. He played for Nelson Mandela and Queen Elizabeth II and was a frequent performer at international jazz festivals. He received three major honours: the Oscar Peterson Award, the Prix Calixa-Lavallée and the Order of Canada.